With its retractable neck and shield-like shell, the turtle is one of the most peculiar and distinctive animals on the planet. The docile and leisurely nature of the subject of the tenth glow-in-the-dark coin in our bestselling Colourful Creatures series has also made the turtle a popular pet, usually in the form of the land-dwelling tortoise or the semi-aquatic terrapin. There are, however, 356 different species of turtle alive today, although some are highly endangered. The metamorphosis from the tadpole to the frog is one of nature’s most fascinating and familiar transformations. Typically lasting only 24 hours, and initiated by the production of the hormone thyroxine, this transformation is one that most of us have witnessed and one of the reasons that we are particularly fond of frogs. 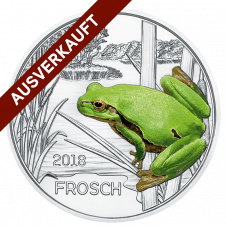 Showing the agile amphibian in its full glory, the vivid green ninth coin in the Austrian Mint’s glow-in-the-dark Colourful Creatures series is a must for all frog lovers. Found in most tropical and subtropical regions, parrots are, along with the crow family, among the most intelligent birds. The ability of some species of parrot to imitate the human voice makes them popular pets, but has also resulted in them being more exploited than other types of bird. 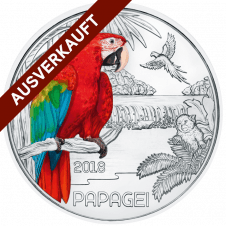 The trapping of wild birds and the ongoing destruction of their natural habitat mean that the global population of this charismatic bird, which features on the stunning sixth coin in our 12-piece Colourful Creatures series, has diminished considerably. The largest member of the dog family, the wolf is also the only species of Canis to have a range encompassing both the Old and New Worlds. This and the wolf’s long association with humans may explain its unique place in folklore and mythology. Admired and feared in equal measure, Canis Lupus is brought magnificently to life on the fifth coin in our glow-in-the-dark Colourful Creatures series. Few sights in nature are as spectacular as the contrasting electric blue and orange flash of a kingfisher flying low and fast over water. The bird’s markings are brought to life in vivid detail on the fourth coin in our superb 12-piece glow-in-the-dark Colourful Creatures series, which explores the wonderful world of wildlife. Not only one of the most spectacular and beautiful of animals but also one of the most popular, the tiger is the second coin in our dramatic Colourful Creatures series, which explores the wonderful world of wildlife. 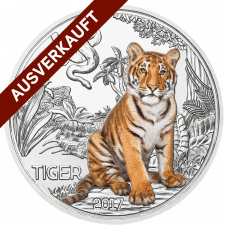 Like the tiger itself, the glow-in-the-dark coin becomes active at night, but that is not its only extraordinary feature – all 12 coins in the series are the first ever Austrian 3 euro coins. Just like certain nocturnal species, the animals featured on the 12 extraordinary coins in our new Colourful Creatures series become active at night − by glowing in the dark. 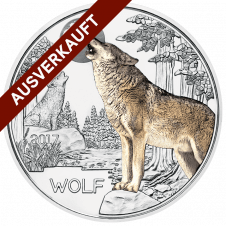 The series has special appeal for children, who can enjoy the coins long after they have gone to bed, but we believe the series is going to prove popular with animal lovers and coin collectors of all ages. Just like certain nocturnal species, the animals featured on the 12 extraordinary coins in our new Colourful Creatures series become active at night − by glowing in the dark. 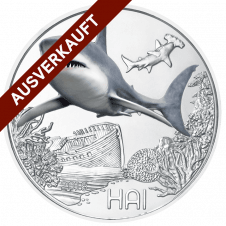 The series has special appeal for children, who can enjoy the coins long after they have gone to bed, but we believe it is going to prove popular with animal lovers and coin collectors of all ages. 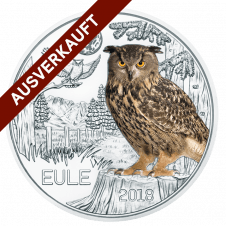 The Austrian Mint’s master engravers have taken their world-famous craftsmanship and attention to detail to another level with this series by combining the coins’ surface relief, colour application and superb artwork to dramatic effect. 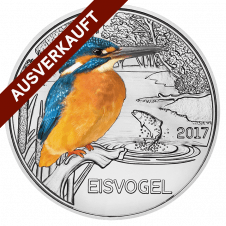 Even the coins' face value is out of the ordinary: Colourful Creatures is the first ever Austrian 3 euro coin series. 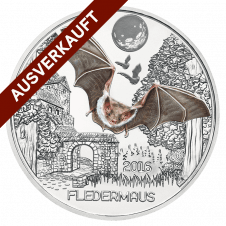 With a maximum mintage of 50,000 pieces, the 12 glow-in-the-dark coloured coins will be issued every three months over the next three years. With special appeal for animal lovers and coin collectors of all ages, the 12 extraordinary coins in our new Colourful Creatures series feature a glowing selection of animals that show just how wonderful nature actually is. 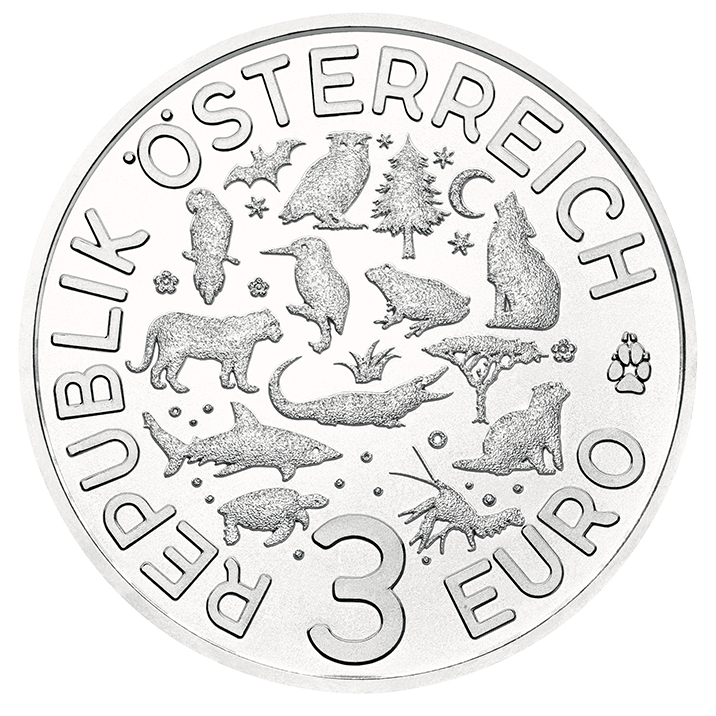 The obverse of all the 3 euro Colourful Creatures coins feature a design comprising the silhouettes of all 12 animals in the series − the bat, tiger, crocodile, kingfisher, wolf, parrot, shark, owl, frog, turtle, otter and crayfish − interspersed with various types of vegetation, not to mention the stars, the moon and a wolf’s paw print. 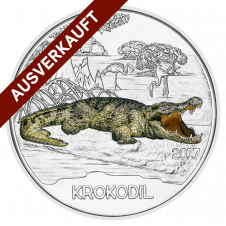 The first ever Austrian 3 euro coins, Colourful Creatures are legal tender in Austria and will be issued every three months over the next three years. Did you know that owls cannot actually move their eyes, but make up for it by rotating their necks up to 270 degrees? 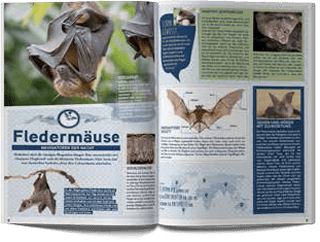 This is just one of the many fascinating facts about owls, turtles, crayfish, otters, sharks, crocodiles, tigers, kingfishers, parrots, bats, wolves and frogs that can be found in our superbly illustrated Colourful Creatures collector album. The cover of the album features a changing image that shows a tiger, owl or shark depending on how it is viewed. 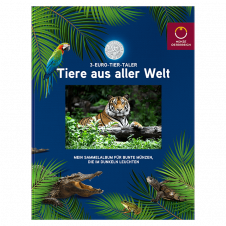 Guaranteed to delight animal lovers of all ages, this collector album will also help nurture an interest in conservation and the environment in general. 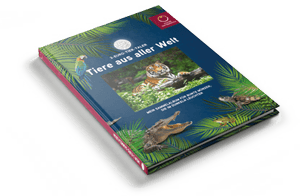 Available in German only. To see inside click on links below.